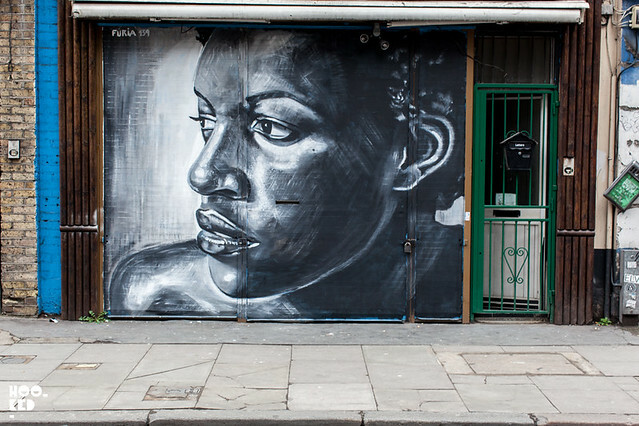 We have seen a number of his murals on the streets of East London over the last few months and Hookedblog finally caught up this afternoon with artists Furia139. 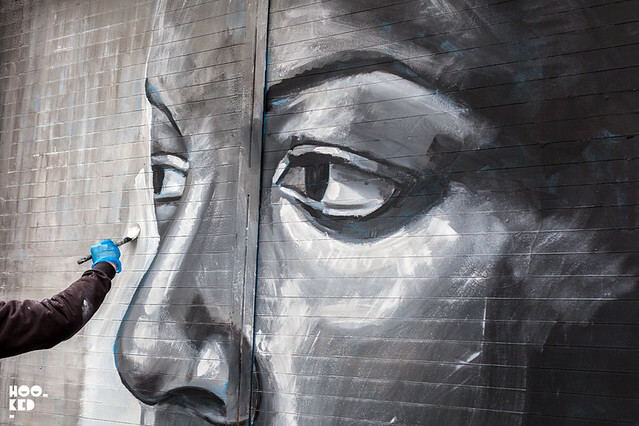 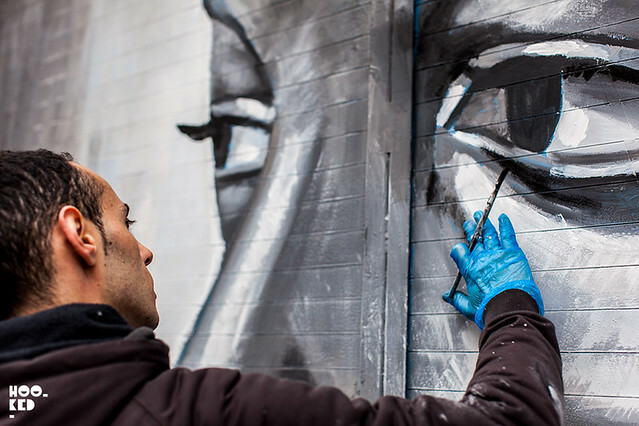 Originally from Porto, Portugal the street artist and illustrator is currently based in London and has been pretty active on the streets since his move to the city, painting a number of large scale portrait works across London. 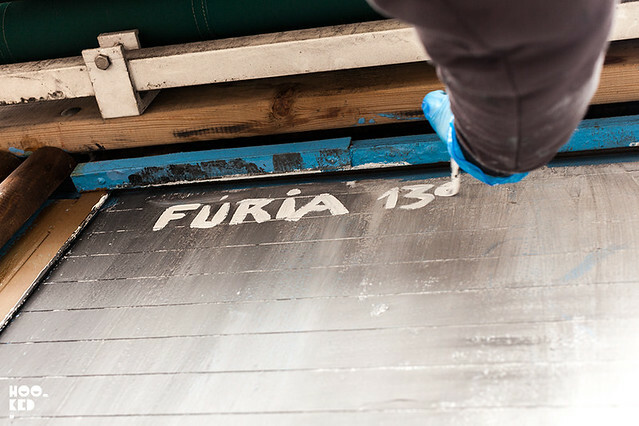 Working predominantly in black and white, using found and recycled paints, we discovered Furia139 at work putting the finishing touches to this mural pictured on a roller shutter. 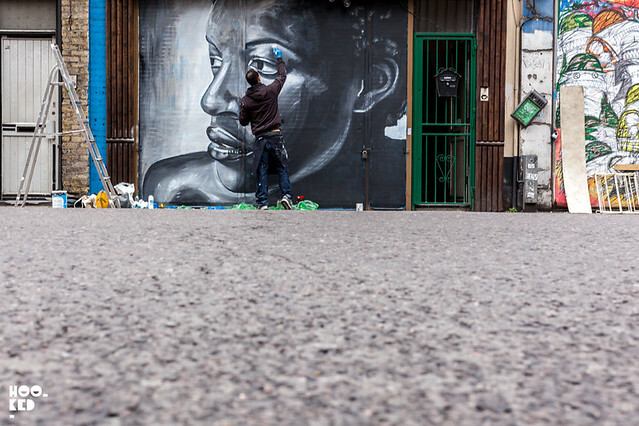 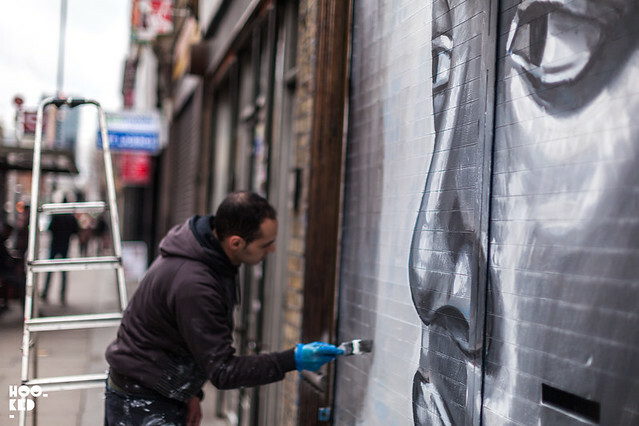 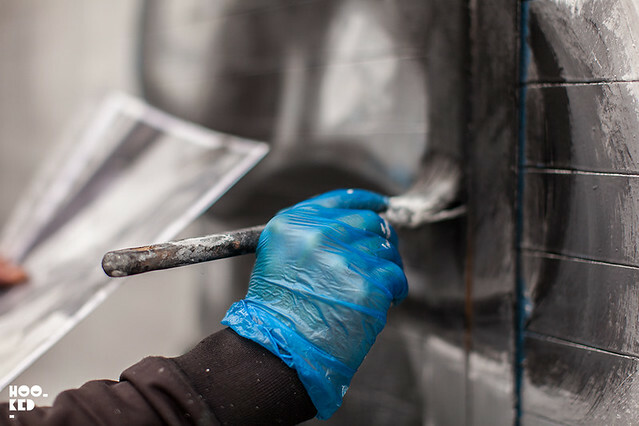 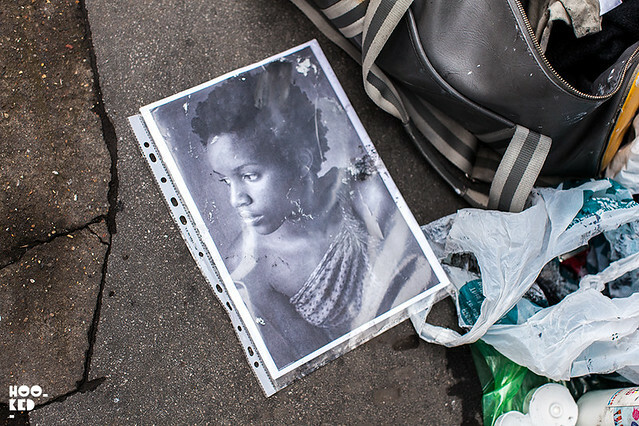 If you are in the neighbourhood over the Easter weekend checking out some of the areas street art be sure and stop by the latest addition which is located on Commercial Road near Aldgate East tube station.